Forget for a moment, all the talk of pension funds, selling the family silver and drunken deals with the Chinese, and cast your mind back to May 2000. The world was a very different place back then. 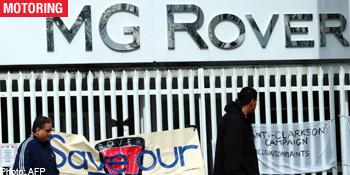 The Phoenix Consortium had bagged the remains of the once mighty Rover Group from BMW for a headline-grabbing £10. 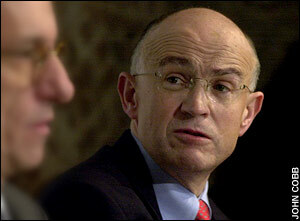 John Towers, Nick Stephenson, John Edwards and Peter Beale had to work hard to pull off the deal to create MG Rover. Because the Group encompassed a number of factories and marques, the split was never going to be straightforward. Rover was splintered with MINI and its Cowley production line staying with BMW (after some re-jigging of factories post-Phoenix), Land Rover, Solihull and Gaydon going to Ford (for a cool £1.5bn) and Rover’s 25, 45 and 75 and the MGF going to Phoenix. With Longbridge, BMW also supplied a £492m ‘soft loan’ (re-payable if MG Rover hit profitability, or after 50 years), and its inventory of unsold cars to Phoenix (many of which were pre-facelift 200s and 400s, worth far less than they would have been, if they were current models) – and with that, a future model plan was to be devised. 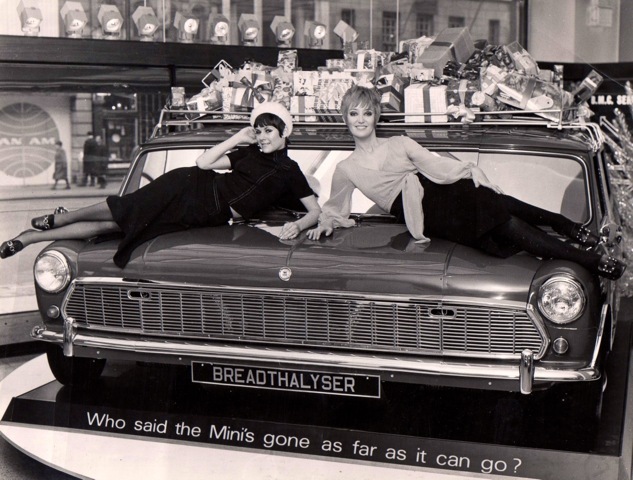 However, there was housework to do – MG Rover had few resources and, in many ways, was a start-up operation. First, the Rover 75 production line had to be moved from Cowley to Longbridge (achieved with remarkable speed and efficiency) and then there was the small matter of setting up a new Product Design Centre within Longbridge, hiring designers and setting up new IT systems for them. In the short term, and despite being facelifted in 1999, the 25 and 45 were reaching middle-age, and it was vital to maintain their appeal in an increasingly competitive market. MG versions were speedily devised (based on the experience gained from the behind-closed-doors projects during the BMW-era to give the cars a more dynamic appeal) and, thanks to the talents of Rob Oldaker’s chassis engineering team, the newly created ZR, ZS and ZT drove very differently to their Rover brethren. However, this was window dressing for the main event: a new car replace the 45/ZS – potentially MG Rover’s biggest seller. By January 2002, with very little to start from, MG Rover designed the vitally important new car, codenamed RDX60. The plan was to get the stylish range of mid-liners, based on the runnng gear of the impressive Rover 75/MG ZT, on the market by the beginning of 2004. In an era of billion-dollar development programmes, it was a very tall order. The designers and engineers who worked on the project all believed it was an attainable dream and put their hearts and souls into the project – pulling together for the good of the company. Once the car had been devised, the stern task of getting it into production was faced. With such limited resources, MG Rover called in Tom Walkinshaw Racing (TWR) to complete the productionisation, allowing Longbridge to work on other projects such as the XPower SV supercar (MG Rover paid £10m for the struggling Qvale supercar company – and X80 programme was based upon this), finalising a potentially lucrative deal with Indian carmaker, TATA to sell its Indica supermini in Europe rebadged as the CityRover – and facelifting the current cars, which looked set for a very long production run. They were busy times, and after a faltering start in 2000, there was a genuine belief in the media that the company could make it, if it stayed focused on the task. However, disaster struck in 2003. Within a few months, two events sowed the seeds of MG Rover’s downfall. First, TWR went bust, taking the ex-Daewoo in Worthing which was working on RDX60 with it – and all the good work on the vitally important RDX60 was put on hold while the project was returned in-house. By the time Longbridge was in full possession of the programme, it was obvious that it would need a collaborative partner to provide funds to complete RDX60. MG Rover had already been looking for a suitable bedfellow (Fiat had been approached, and a deal based on the use of the under-performing Fiat Stilo platform was investigated, then rejected by British management), but now its efforts were re-doubled. After the aborted attempt to get Matra on board in the form of a joint venture (production of a Rover badged Gen III Renault Espace was one project discussed), and with TATA remaining little more than a stop-gap (ignoring serious potential), and a failed deal with Proton (involving building the new Gen2 in Longbridge), the answer, it seemed, lay in China and a deal was struck with the carmaker, China Brilliance (CBIH). Soon after the announcement of the potential partnership, CBIH pulled out (after paying MGR around £50m) leaving MGR with little more than a few million extra in the bank and a few more vital months lost. The reason for the sudden pullout by China Brilliance was the upcoming Joint Venture agreement with german car manufacturer BMW. The MoU signed between Brilliance Auto and BMW clearly stated that Brilliance Auto was not allowed to form partnership with other car manufacturers. BMW and Brilliance Auto only got to know each other after a failed joint venture attempt by – then BMW owned – Land Rover and JinBei, part of the Brilliance Auto Group, with plans to produce the Land Rover Defender on a CKD basis in northern China. Four rich guys – the Phoenix Four, as they came known, were cricised by many for drawing salaries not commensurate with MGR’s faltering performance. In November 2003, details of what would become known as the ‘Phoenix Four Pension Fund’ would emerge. Essentially, it meant the Phoenix Four alongside MG Rover Managing Director, Kevin Howe, set up a trust fund of £12.9m for themselves and their families. This besides the news that Longbridge had been sold to property developers, St Modwen, and production was slowing down rapidly, was widely broadcast in the media. Pretty soon, the directors became seen (rightly or wrongly) as asset strippers. The negative publicity had an immediate effect on public perception of the company, and after a short period of tentative sales growth, and a serious reduction of trading losses, in 2003, the company’s fortunes turned. With RDX60 on hold and sales falling, the future had started to look a whole lot more bleaker. The launch of the CityRover and the facelifted versions of the 25, 45 and 75 didn’t even register on the radar – and the same applied to the hugely entertaining (and talented) MG ZT V8 and XPower SV supercar. Salvation seemed to be on hand in June 2004 when MGR announced that it was in talks with the Shanghai Automotive Industry Corporation (SAIC) about future collaboration. This was followed by the annoucement of an impending Joint Venture with the company, which would see the production of Rovers in China as well as Longbridge. It all looked so promising. However, sales were still falling and the money was rapidly running out – and although workers at Longbridge redoubled their efforts to keep the plant alive, continued negative press fuelled buyer insecurity. It was a vicious downward spiral, with the only hope that MGR and SAIC would sign the Joint Venture, thus keeping the company’s head above water. Between the rather unusual (it smacked of a controlled leak) press announcement of November that MG Rover and SAIC would be entering into ‘a £1bn’ Joint Venture (called the JVC in lieu of a more permanent title) deal, which would secure car production at Longbridge, but also mean several lines moving to Shanghai. 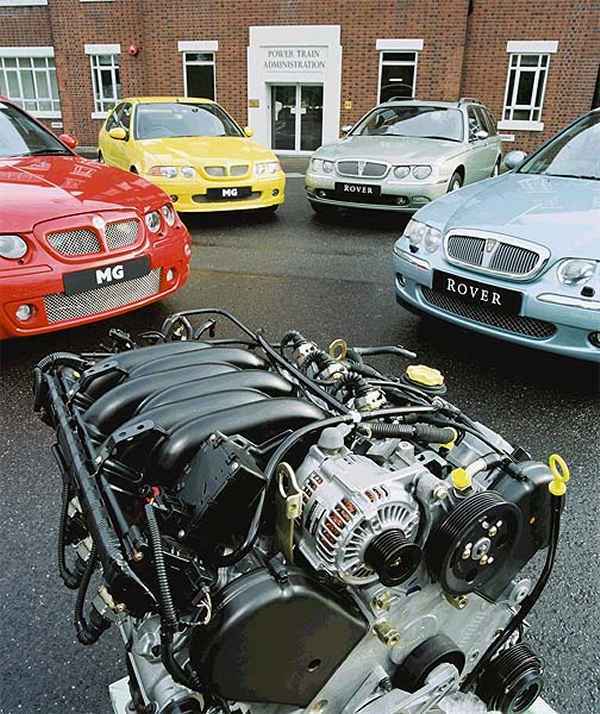 In the months leading up to the planned inking of the JVC deal, MG Rover executives handed over the Intellectual Property Rights of the 25, 75, TF and K-Series engines in two tranches for a sum not much north of £67m – believing that these could be held in Shanghai, where much of the JVC management would be taking place. Stories circulated in the press that the deal would be inked in the closing weeks of January 2005, but rather frustratingly, it never came. As late as March 2005, encouraging noises were emanating from Longbridge that the deal would still be going ahead as planned, and plans were already rapidly moving ahead with the shipment of the Rover 25/MG ZR and engine production to Shanghai. In a statement issued to MG Rover dealers that same month, SAIC claimed that the deal would be going ahead (and it must have believed this to be the case even at this late stage), although the final sealing of it rested with the continued financial viability of MG Rover. When that failed to instill a degree of confidence with SAIC, the deal floundered. When that deal never came, car production was halted on 7 April 2005, with the administators, PricewaterhouseCoopers (PwC) moving in the following day. Despite the workers’ best efforts, the dream was over; MG Rover production as we knew it had ended – and the announcement of 4500 redundancies a week later cemented that view; a sad end to a centenary of car production at The Austin. Between April and July 2005, PwC worked hard to find a buyer for the assets of MG Rover, speaking – initially – to over 200 interested parties, before whittling the prospective candidates down to the final Winner: Nanjing. However, if Rover’s future at Longbridge looks very uncertain, there is a real possibility of the MG and Austin marques being revived by the company’s new owner, Nanjing Automobile (Group) Corporation. A new chapter, it seemed, was about to open on Longbridge. Rover 600 : It’s not who you know, but what! This is probably the saddest story in town,and i think i have to eat some of my words on other threads when i have singled out BMW for major criticism,the fact is,BMW ploughed in £3.5 billion with all the best intentions,but massive year on year losses and failure to get to grips management wise and the government not helping meant that Rover was dying on its knees and BMW wanted to get rid (with a good push from the quandts)Alchemy first approached BMW- a finance chief among others in the group-board members gave them a wide berth giving astonished suits in munich future losses at Rover to within a few million!Alchemy wanted to run Rover down as longbridge was too big-with only half the site making cars,in order to make MG’s and “a few saloons” i’m at page 166 of an incredible book charting the downfall and it seems like Alchemy could have been right all along-Longbridge is less than half the site it was and SAIC are at the helm,lets forget the CKD stuff for now,if the MG3 is going to be produced there it would prove how astute Alchemy was. It’s described as a Chinese made van, but marketed as a piece of British history. The local dealer brochure has a family tree diagram (Page 2 in http://www.vonbibraldv.com.au/images/new-cars/ldv-80/ldv-80-brochure.pdf ) that goes back to the 1898 Leyland Steam Van. It’s also described as having been chosen to carry the British Royal Family. The ARUP sketch above, looked semi appealing… particularly if it was developed to version 2/3 etc. was less squashed looking, had better proportioned wheels & tyres. Wouldn’t it have been nice if such a car was designed and built at Longbridge? Provided there was a market for it, which seems unlikely nowadays. Many people in the year 2000 felt Rover was on its way out. BMW tried and lost billions with the Rover experiment. Between the strength of the pound and the massive investment needed to develop modern cars there was no way Rover could have gotten sales in the order of hundreds of thousands to justify more billions from anyone. When there was a chance to hand the lot over to Honda, or rather Honda taking a 47% stake, this was the watershed. Honda would have fixed the K-series faults in no time, then their influence on the R30 could have seen Rover heading the right way. Cowley and Longbridge making both Hondas and Rovers – with a reliable K-series, winner? Of course! Rover was turning the corner in the late 1980’s at that point the affects and attitudes of BL was thankfully over. Rover was making good versions of Hondas but BAe were not interested in vehicle development. Someone senior in Rover/BAe just did not care. That is who killed Longbridge, not Pheonix. I think the high watermark was Rover 800, R8 200. More joint venture than top ‘n’ tail Honda. The Rover Metro was also a wonderful in house transformation. 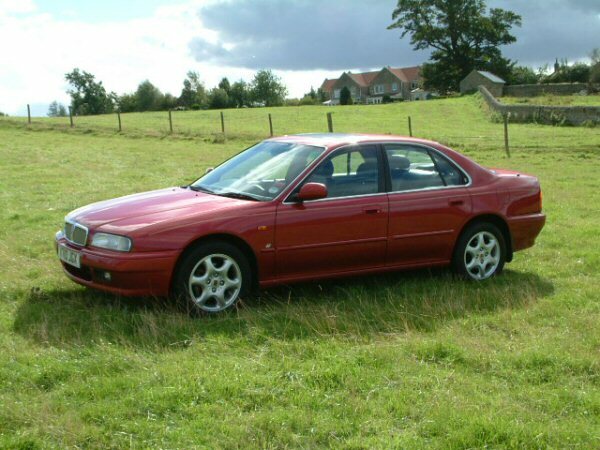 It is remarkable that the Rover 75 scrabbled to get sales in its lifetime – despite almost every car magazine waxing lyrical about being better than the competition. It’s remarkable because anywhere I go in the 75 (where people are ‘car’ savvy) – they virtually drool over the thing. Yesterday, a LandRover mechanic known for his dour and critical view of all things automotive – became enthused and was gushingly complimentary on my choice. In my view, here lies the whole Rover demise problem. Image. The finances, company direction, choice of models, choice of key people – all are integral and important of course. However, if – for whatever reason – the company has a poor image – then the struggle to change that image is bigger than anything else that company has to deal with. Having said that – it can be done. Skoda and Aldi have done it – and many others too. But it is the most difficult thing to do. I have a friend who has been employed by a pub/resturaunt chain to ‘get their image back’ – otherwise they are not going to make it (reading between the lines). The great books about Rover (Michael Edwards Back from the Brink) and the Leyalnd Papers (Turner), are almost wholly concerned with the nuts and bolts (and who was going to be boss in the case of the Papers) but very little attention was paid to image – and it’s the image that killed Rover (in my view).